Check out these other great OEM kits we've released this March! Now Available | Order Today! We have lighting kits for Toyota, Chevy, Ford, Dodge/Ram, GMC, Jeep, Nissan, and Subaru! @t4arghhh (IG) aerial shot of dual amber LP9 Pros and amber Squadron Sports. Perfect combination of near-field, mid-field and distance. The XL80 Work/Scene light puts out a show stopping 9,500 lumens. Ideal for illuminating work spaces, camp sites, and anything in between. The XL80 Work/Scene outputs an extremely smooth 120° pattern that projects well past the 400ft mark, while providing usable light to a minimum of 250ft. As this is not a distance oriented pattern and we do not consider suitable for driving. The XL80 Work/Scene is offered with its own specific bracket that is designed to provide maximum adjustability. Similar to the rest of the premium members of the XL series, the XL80 offers an optional 20% dimming feature. As always, Baja Designs offers a 30 Day Satisfaction Guarantee, and Limited Lifetime Warranty. 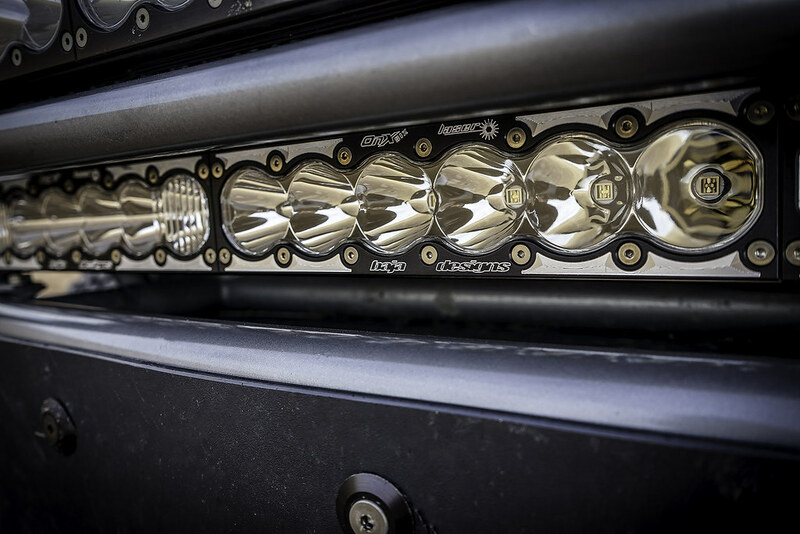 We are proud to announce the industry's first full laser light bar! The OnX6 Full Laser features 6 laser diodes per 10-inch section. Paired with our High Speed Spot optics, these laser chips produce an extremely tight 1.5° pattern and are capable of throwing light 350% farther than current premium LED offerings. SEND IN YOUR CURRENT ONX6 LED LIGHT BAR TO UPGRADE THE CIRCUIT BOARD TO NEXT GENERATION LASER TECHNOLOGY. - SIZES: 10", 20", 30", 40" & 50"
UTV INC is now a BAJA DESIGNS dealer!